Managing the process of drilling and well operation is one of the most important operations of the District to protect groundwater quality and quantity. We greatly appreciate the cooperation and assistance of the area’s drillers and well operators who work with us to steward this most precious resource. 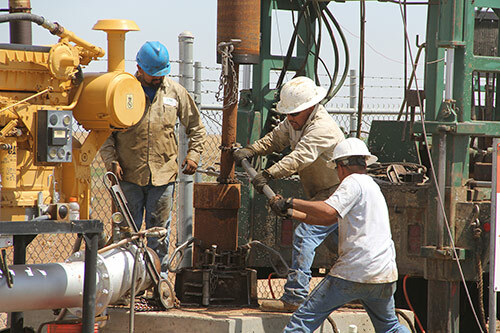 Please check out the pages in this section for important information about how you can safely and efficiently perform necessary drilling, while following all District rules and procedures. If you have any questions, call us at 806-935-6401. We’re glad to help.